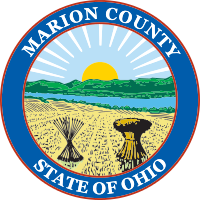 The mission of the Marion Municipal Court Probation Department is to protect the public through accountability and supervision while promoting positive behavior change. The vision of the Marion Municipal Court Probation Department is to foster positive changes in offender behavior through proactive, innovative, and evidence-based approaches. Long-term probation consisting of mostly moderate and high-risk supervision established through an intake screening. This supervision consists of case planning using evidence-based practices to assist offenders in establishing short- and long-term goals to get them on path to becoming a productive citizen. Supervision consists of office visits, field visits, and electronic home monitoring. Short-term probation requiring little to no probation services, which may be established through an intake screening. In most cases, offenders on this supervision are required complete some type of online class, complete community service, complete a driver intervention program, and/or pay restitution. Supervision for first time offenders who have committed theft, underage consumption, possession of marijuana, and other qualifying offenses. If an offender is approved for the diversion program, the offender must enter a guilty plea and within 90 days must complete several hours of community services, pay court costs in full, and in some cases complete an online course. If all requirements are completed within 90 days, the case is dismissed. The diversion program allows for some first-time offenders not to get a misdemeanor conviction which may hinder in obtaining employment or seeking higher education. The Making Accountability and Recovery Count Court (MARC) is a specialized court docket focused on offenders diagnosed with a substance use disorder. This drug treatment court assists participants in developing a sober lifestyle through evidence-based intervention and treatment in a non-adversarial approach. This alternative to traditional case processing supports participants in their sobriety, employment or education skills, housing, and development and utilization of outside support systems with the ultimate goal of reducing recidivism and saving lives. The Wellness Intervention Court (WIN) is a specialized court docket for offenders diagnosed with a severe and persistent mental illness. WIN Court connects these offenders with effective, evidence-based treatment and case management to assist in improving their illness management skills. These connections aid the participants in developing accountability, enhancing their ability to lead a stable life, and reducing their criminal behavior. The Veterans’ Treatment Court is a specialized court docket for offenders who are also veterans of the U.S. Armed Forces. The court is committed to addressing the unique mental health- and substance abuse-related needs of the participants by providing an intensive treatment program that helps establish access to a range of services available within the community. The goal is to promote self-sufficiency, to reduce recidivism, to enhance public safety and to provide an alternative to incarceration.